Warlords of Draenor brings a number of significant changes to Mistweavers, beyond the ten levels and new talents. There’s a long list of changes, beyond the many Monk abilities that were removed. Check out our Mistweaver changes in WoD post for all the details. 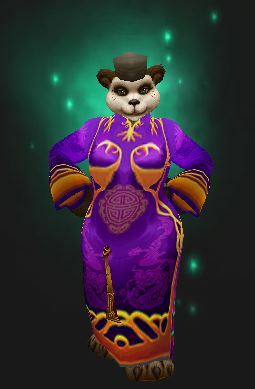 This Mistweaver Monk guide is primarily intended for use at level 100. However, the principals will still apply during the leveling process. 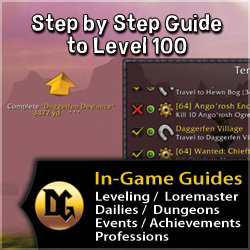 If you want the same in-game step by step leveling guide that we use to get to level 100 as fast as possible, take a look at our favorite in-game leveling guide. Our picks are checked: . The picks below represent the most generally useful picks, but keep in mind that certain talents are better for some situations, while other talents might be better at other times. Keep a stack of Tome of the Clear Mind handy for switching talents as the need arises. Tier 1 offers us three mobility enhancing talents. Depending on the situation (which means you’ll have to know the fights,) you might want to change picks to suit the fight. Celerity is one of two options this tier that enhance roll and Chi Torpedo, increasing the limit of charges by 1 and reducing the cooldown time by a small amount. Not as useful as the others. Tiger’s Lust gives us a speed increasing spell that can be cast on both ourselves and others. It also breaks snares and roots giving it much greater utility that the other two talents. Basically it’s a partial PvP trinket and movement boost with a short enough cooldown. It let’s you move right now, when you really need it, though the others have more general use. Momentum is a passive that causes our Roll and Chi Torpedo abilities to grant us a speed increase for a short time, stacking up to 2 times. This is my personal favorite for situations where a lot of constant movement is needed. Chi Wave is a basic chain heal type ability. Possibly the most generally useful of the three. Zen Sphere summons a sphere that periodically heals the target and damages a nearby enemy. Zen Sphere can be detonated early for a small burst of AoE healing. Chi Burst is best used for healing a stacked up raid. With 5.2 it does more healing and a lot more damage and has no Chi cost. If you groups tend to pile up then this is your pick. Power Strikes causes our Jab to generate an additional 1 Chi once every 20 seconds. Power Strikes grants the greatest overall Chi generation, making it the superior option the majority of the time. Ascension increases your maximum Chi by 1, increases your mana, and increases energy regen. Since this one does not increase mana regen, it loses out to Power Strikes. Chi Brew instantly restores all of our Chi on a 1.5 minute cooldown. Ring of Peace: New – Ring of Peace forms an 8 yard sanctuary around one friendly target for 8 seconds and causing all enemies (both players and NPCs) in the area of effect to be disarmed for 4 seconds. In addition, enemies that cast a damaging spell while within the area of effect will be silenced for 3 seconds, aftercasting the spell. The ability has a 45-second cooldown. This will reduce damage done by enemies near the target and it a good thing to put on your tank. Charging Ox Wave sends out a mighty ox head which stuns all targets in its path up to 30 yards away. Nice if you have to get out of the middle of something. Not targeted, so you have to face the correct direction. Does not do knockback. Leg Sweep stuns all enemies within a 5 yard radius. This might be the best choice for dealing with groups of trash mobs. Stunned enemies don’ t do damage. Unlike Ring this isn’t ranged. Your choice from this tier should be based on the encounter you’re currently facing. Healing Elixirs adds a small heal to our use of Brew/Tea abilities. A useful healing ability given how often it’ll trigger. Dampen Harm probably won’t be of much use for us,unless we somehow are under heavy assault. Then it’s great. Diffuse Magic could be a very helpful damage mitigation cooldown on fights with heavy magic damage against you. Healing Elixir offers a frequent healing effect, making it the optimal choice the majority of the time save for when dealing with heavy magic damage in which case Diffuse Magic is optimal. Rushing Jade Wind is a nice boost to our AoE healing, increasing healing done by your Spinning Crane Kick. 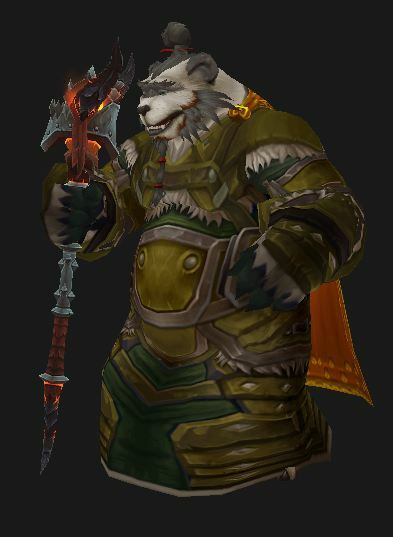 Invoke Xuen, the White Tiger is a poor choice, as you’re neither tank nor DPS. Chi Torpedo offers a bit of healing every time you use Roll, not a bad choice. All three options this tier could be useful depending on the situation/healing demanded. The “best” glyphs depend on the fight and what you’re doing. Swap ’em as necessary, using the same Tome of the Clear Mind as you do for talents. All of the significant ability modifiers are with the Major glyphs. Glyph of Mana Tea – Your mana tea becomes instant, which is pretty useful, but now has 10 sec. cooldown. Glyph of Surging Mist – Surging Mist now longer requires a target. Now it finds and heals the lowest health party member within 40 yrs. Glyph of Renewing Mists – Now your Mists travels to the furthest (up to 40 yrs) injured target, rather than the nearest. Glyph of Uplift – Your Uplift no longer requires Chi, which is nice, but now costs mana instead. Glyph of Life Cocoon – Can now be cast while stunned. Glyph of Zen Meditation – Can now cast your Zen Mediation while moving. Pretty situational, but very nice when that situation pops up. These are mostly cosmetic, but the three shown have occasional utility. Glyph of Spirit Roll – Roll while dead. Hopefully you won’t have much use for this. Glyph of Zen Flight – Nothing is better than flying on a meditative cloud, right? Warlords Notes: Hit, Expertise, and reforging are dead, along with any abilities dealing in those stats. Your Int no longer adds to your Crit rating, but you now start with a base of 5%. There are two new stats, Multistrike and Versatility, which may prove to be valuable. You now have something called an “Attuned Stat,” Multistrike in your case, gained from your new level 90 Jade Mists ability. Note that gems and enchants no longer add to primary stats, so all of your Int will come from effects and gear. Crit You have a chance equal to your crit strike to proc extra Mana Tea. Spirit needs to be stacked until you are happy with your mana usage. You don’t need to be at 100% mana in your fights, but you want to be very sure that you don’t run out. Spirit will have to come primarily from gear. Intelligence is your main “power” stat. It’s down in the priority last since you can’t really stack it anymore. Gems and Echants only have the secondary stats. Otherwise it improves everything that you do. Versatility is an add to your heals, your damage, and your damage reduction. It doesn’t speed up anything or proc anything, so isn’t as valuable as the others. Haste lowers your cooldown and cast times, and also your global cooldown. It speeds up everything you do and helps to burn mana faster. Mastery gives a chance for your heals to summon a Healing Sphere near an ally. Mistweaver Monks have a very active healing style, and to get full use of their abilities requires that you constantly utilize a variety of Chi building attacks and finishing moves in addition to regular healing. During times of heavy damage, the use of your regular attacks may be impossible as the healing role demands your full attention. Also see the video, below. Stance of the Wise Serpent and your Jade Serpent Statue should always be active. Eminence and Serpent’s Zeal allow you to heal while damaging a boss, making it optimal to stay within melee range as often as possible so long as doing so won’t interfere with your direct healing duties. Jab is your standard melee, Chi building attack. Crackling Jade Lightning is a channeled attack spell with a 25% chance of generating 1 Chi each tick of damage. This best used when you are unable to melee a target. Expel Harm damages your target, generates a Chi point and heals you. Blackout Kick grants you a stack of Serpent’s Zeal when used, this effect stacks up to 2 times and should be maintained as often as possible, meaning using Blackout Kick once every 30 seconds. Using Tiger Palm grants us stacks of the Vital Mists buff which reduces the cast time and mana cost of your next Surging Mist by 20% per stack, stacking up to a maximum of 5 times. If a target is taking low to moderate damage, simply using Soothing Mist and the occasional Enveloping Mists should be enough. If they start taking heavier damage, add Surging Mist into your rotation. Soothing Mist is a low-mana single target heal best used for periods of low to moderate damage. Using Soothing Mist makes both Enveloping Mist and Surging Mist instant cast, making it beneficial to continue channeling Soothing Mist on your target at all times, throwing in either of your other heals as is necessary. Enveloping Mists heals the target and increases the healing the target receives from Soothing Mist by 30%. Enveloping Mist is instant cast if used when you are already channeling Soothing Mist. Surging Mist is an emergency heal with a high mana cost, but short cast time. Use this if you have 5 stacks of Vital Mists or when a target is taking heavy damage. Surging Mist is instant cast if used while channeling Soothing Mist. Healing Sphere creates sphere that heal an ally when they walk through it, use this to place on-demand heals for raid members. When healing multiple targets, use Renewing Mist for moderate damage, and add in Uplift when possible if the extra healing is necessary. Continue to make use of Soothing Mist and Surging Mist to generate Chi for use with Uplift. Revival heals all members of the raid and removes all Poison, Magical, and Disease effects present making it an effective dispel tool in addition to a heal. Renewing Mist places both a HoT effect on your target and a healing effect which jumps up to 3 nearby allies, healing them as well. Uplift instantly heals all targets with the Renewing Mist HoT. The duration of the Renewing Mist HoT can be refreshed by using Uplift in conjunction with Thunder Focus Tea. Spinning Crane Kick is a channeled AoE heal with an 8 yard radius. Spinning Crane Kick can be channeled while moving, allowing for mobile AoE healing. Mana Tea stacks are generated through use of Chi. Mana Tea is a channeled spell that restores mana based on the number of Mana Tea stacks you have, and is best used when you have free time where channeling won’t prevent you from healing as necessary. Taking the glyph makes Mana Tea instant cast, allowing you to work it into your normal rotation. Cast Life Cocoon on any target that is taking or is about to take heavy damage. Use Thunder Focus Tea as often as possible. Chi Wave is a bouncing heal most effective on moderate numbers of players. Zen Sphere has a fairly weak HoT and is best used with the intent of detonating the sphere for burst AoE healing, although this will cost 4 Chi making it expensive and fairly inefficient. Chi Burst is a useful, directed AoE heal effect best used on a stack of players. Chi Brew can be used for burst healing as it allows you to instantly cast any Chi-costing heal. Ascension passively increases your maximum Chi. Rushing Jade Wind is a powerful AoE healing effect that also boosts the effect of Spinning Crane Kick. Use this for periods of heavy raid damage. Invoke Xuen, the White Tiger grants indirect healing due to Eminence. Chi Torpedo replaces roll, adding a healing effect on top of the regular roll action. Note: Gems and enchants can be expensive. If you find yourself short of the cash needed to buy expensive gems then you should see this post. Your Leather bonus adds to any Int gem bonuses, making them worth 5% more Int. That bonus does not add to other stats. Note that if you’re lower than 85 you can use similar gems for your level: Brilliant, reckless, etc. Gems sockets are actually few and far between Also, there are no meta gems or sockets, there are no socket bonuses, and all sockets are “prismatic,” which means that they will take any available gem. Warlords Gemming: Gem for Multistrike and Crit. Critical Strike Taladite: +35 CritThe lesser gems are far less expansive. Note that Pandarens get twice the food buff. All food buffs last one hour. Alchemists get about 30% more effect and an extra hour from Flasks and Elixirs. In Warlords there are no elixirs that give stats, but your flasks, potions, and foods do. Rylak Crepes: 75 multistrike for 1 hour. Fiery Calamari: 75 multistrike for 1 hour. Flask of Falling Leaves: 114 Spirit for an hour. 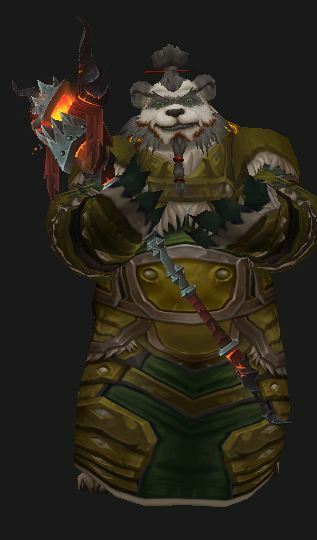 In Warlords all racial abilities with Hit or Expertise are gone. Some were replaced. All races now have something that will add to your heals. Better buffs from food is a nice benefit. Pick an Int, Spirit, etc. buff as the situation demands. Melee range stun will be occasionally useful to allow you to get some range. Storm form washes away some effects and reduces damage by 10%, which will have occasional use. 2% Dodge is a rarely useful stat for healers. Shadowmeld is great for when the opposition comes looking to make you into lunch. Your Escape will find occasional use, but more in PvP. Increased manapool might find some use. The self-heal might be useful once in a great while. Blood Fury is very nice for those times when you a bit more spell power for a few seconds. Resistance to stun effects will only be rarely useful, it’s more for PvP. Berserk is very nice for those times when you need some burst healing. Increased XP from beast slaying is nice for leveling. Underwater breathing might be useful somewhere. War stomp will have definite use when the opposition closes in. This is a guide on “How to Mistweaver” in patch 5.3. Once upon a time, while leveling, you had to look up quest details on some website. There was no in-game help and you had to trundle along as best you could. That was when there were only 60 levels. Now we have the new(ish) Monk class, 100 levels, thousands of quests, and a bazillion mobs to kill. Whether or not you’re playing a Monk that’s still a daunting task. Dugi’s in-game guide is always quickly updated for all patches and expansions, including Warlords of Draenor, so it’s never obsolete. Grab yours here and get leveled fast. Not sure how it stacks up against the other talents but I wouldn’t describe “Invoke Xuen, the White Tiger” as a poor choice. With your Jade Serpent Statue up it does quite a bit of healing through Eminence (Statue). It can be useful when you are on the run and need sustained aoe healing.